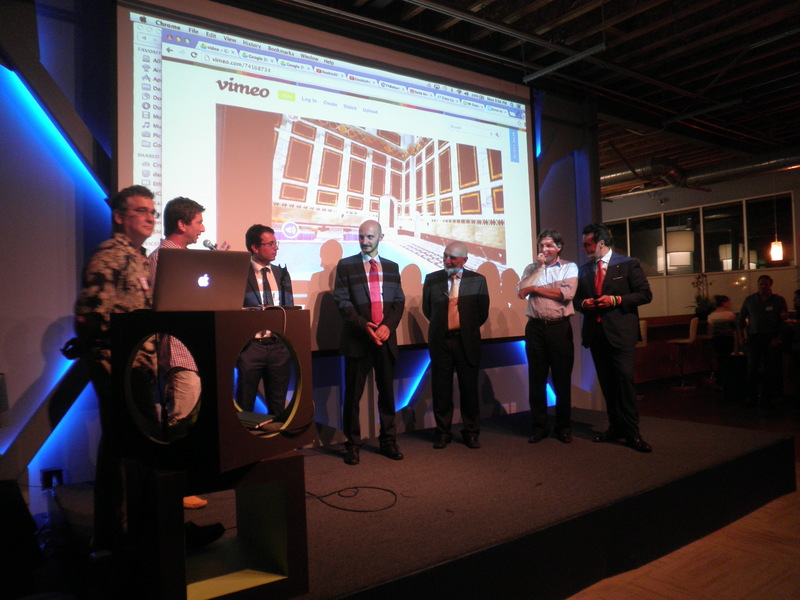 Five Italian startups presented at Italian Pitch Fest organized by Bridges to Italy, Santa Monica New Tech and Cross Campus on Monday, Sept 9. 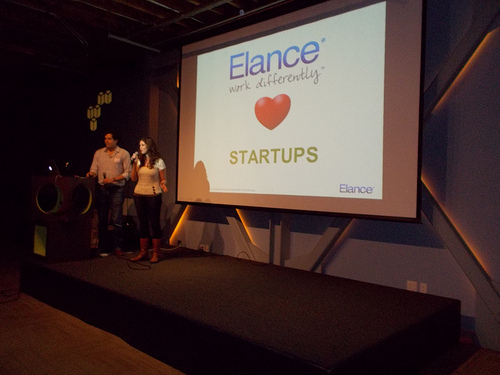 Our amazing sponsors Insperity and Elance provided plenty of great wine and beer. Adam Chapnick, Co-Founder of Indiegogo, and Richard Koffler from Tech Coast Angels gave two short talks on how to fund ventures. “You can call it style, grace or sophistication. Bianca Dellepiane, President of Bridges to Italy, has her own theory. It’s the country, she says, that makes Italian entrepreneurs so different. “Most successful Italian products derive from a combination of heritage, technology, design and creativity”, says Bianca. In the last 10 years, the Italian entrepreneurial community has boomed – with new startups, angel groups, incubators and accelerators. Yet once these startups attain a certain level of success, they grow past their Italian roots and seek attention in America. There’s more managerial, legal and financial new tech experts here in the States, which allows for greater expansion. Italy is also notorious for its preference for small businesses, so growing com panies seek the USA’s friendly attitude towards big businesses”. IMPARA: An automatic high performance AI-based engine for modeling and forecasting based on real world datasets coming from heterogeneous sources from which it learns and adjusts its behavior. CHT: A single surgical instrument that, once inside the body, opens its arms, grasps the tissue on both sides allowing the doctor to move the instrument on the full area. GoodsChange: Goodschange is the EBAY of the barter, it is a marketplace where companies publish offers of merchandise in excess getting credits. At the same time companies offer jobs that pay with the accumulated credits. Exchanges on Goodschange take place exclusively using Goodsy the official currency. The Goodsy accumulated by companies through the sales can be converted into real currency by paying an exchange commission. Roobia3D: an innovative 3D Physics Virtual Lab which combines interactivity with the latest 3D video game-like computer graphics technologies to deliver an exciting and effective learning experience to students. Netminds: Targets the 370+ million cultural and archeological site visits per year with an app that makes the user be a part of history. Santa Monica New Tech is famous for its feedback. 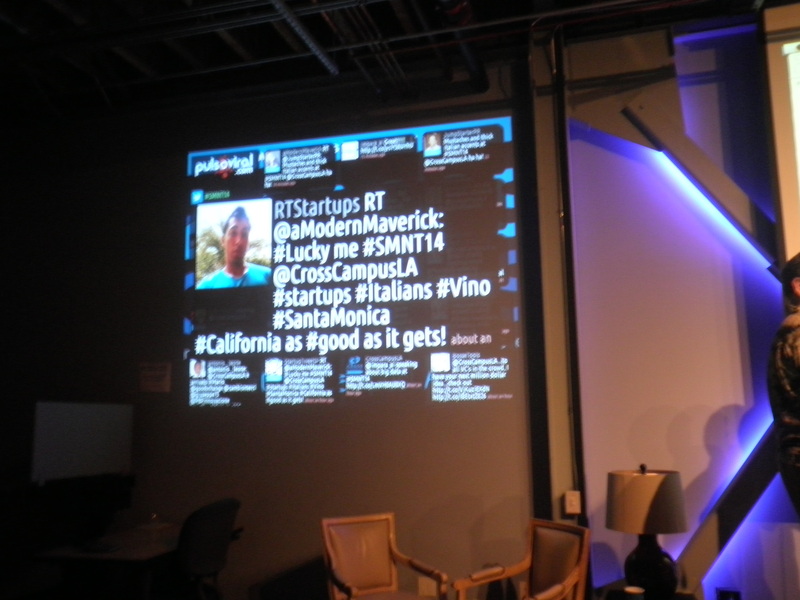 Presenters received feedback in three ways: comments from the audience via Twitter live on PulsoViral board #SMNT14, formal feedback from Adam Chapnick (Indiegogo) and Richard Koffler (Tech Coast Angels) and more informal feedback in private conversations from all participants while sipping wine during after party. 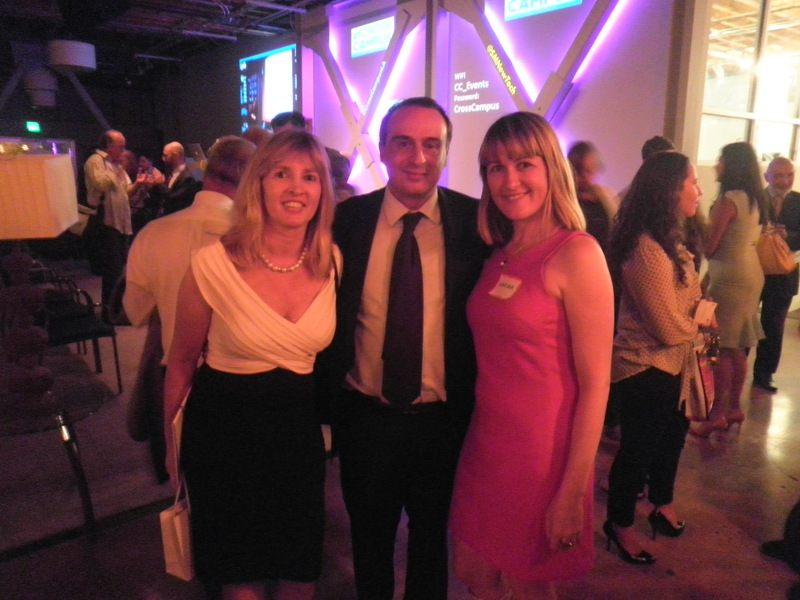 But the best part of these events is networking. Everyone had a name tag color-coded by role: technology, business or other. Business cards were swapped and email addresses saved in smart phones. 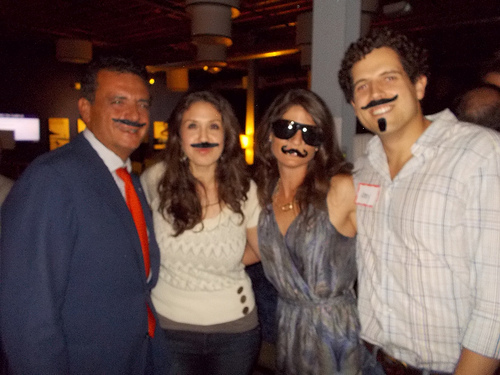 Antonio Leone from Goodschange gave away add-on mustaches that were floating around the room! Hence, fun pictures later! And of course, well dressed Italians showed their style! Bianca Dellepiane, President of Bridges to Italy, introduced startups to Silicon Beach, and Silicon Beach was happy to welcome Italian entrepreneurs. Good luck in America and we will see you again soon! Last Thursday, Sept 5, Cross Campus hosted Tech Cocktail Mixer & Startup Showcase. 12 Startups demoed in a casual expo style. 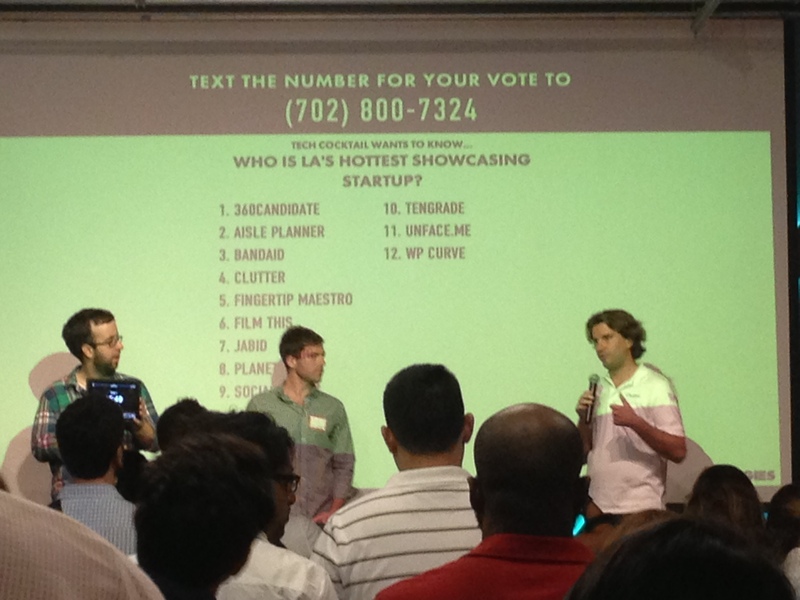 They had 1 min each to present and the audience sent votes for the best ones via text. 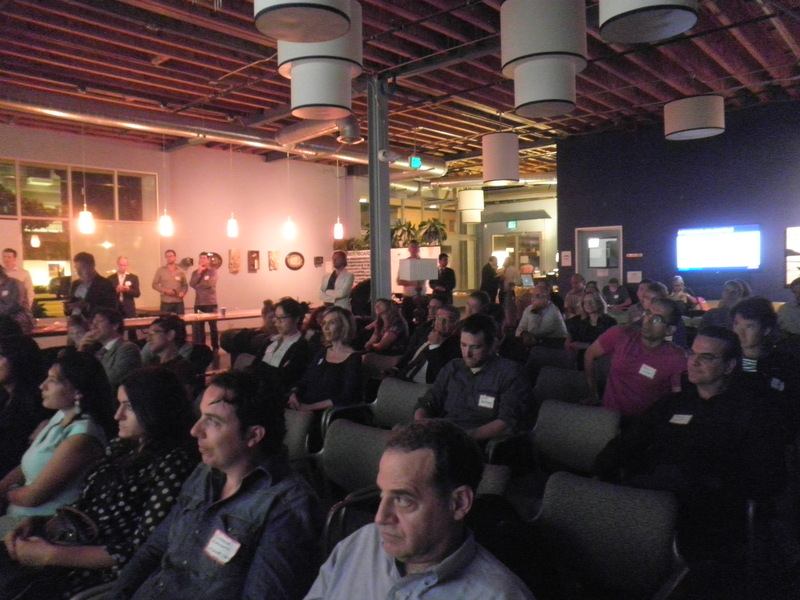 It was a great format for networking and learning about what is new in the startup community. Tech Cocktail (http://tech.co) is a media company that covers the latest tech innovations across the globe. Tech Cocktail has been hosting mixer events and writing about technology start-ups and entrepreneurs across the country with the focus of helping to amplify the local technology signal since 2006. We have hosted large events in Chicago, D.C., NY, San Francisco, Boston, Boulder, San Diego, Detroit, Boise, Austin, Barcelona and more. “Work might be from 9-5, but business happens between 5-9. Tech Cocktail Mixers are like networking events except fun, like a party, except business-oriented, and like a startup pitch series, except informal and face-paced. The result is a one-of-a-kind experience that makes for the perfect evening for entrepreneurs, investors, tech enthusiasts, and fun seekers alike”.